Everybody knows the story of Santa Claus, the red–suited figure who lives at the North Pole and distributes gifts to good children every Christmas eve. But is there any historical evidence on which this jolly old character is based? Was there a real Santa Claus? To answer that question, host Mark Wilson, a distinguished historian and archeologist travels not to the North Pole but to modern day Turkey and Italy. There he uncovers clues that lead to the truth about the man behind the legend. 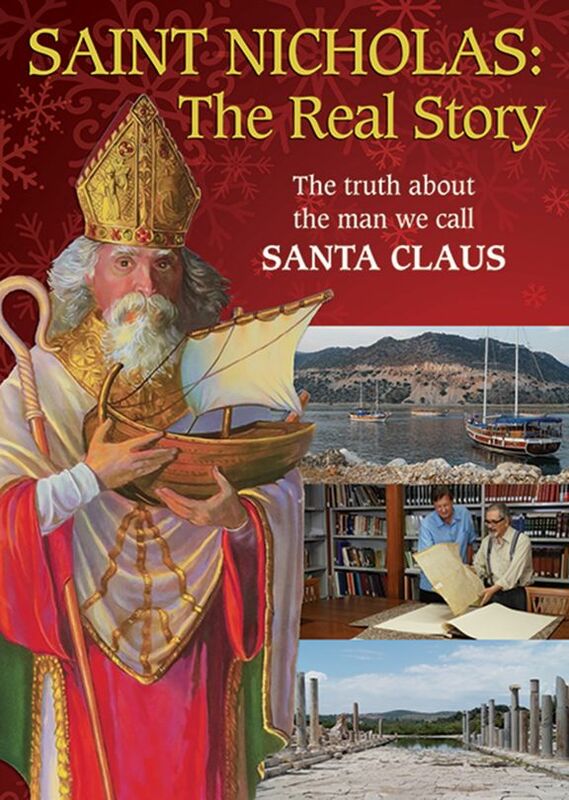 Saint Nicholas: The Real Story takes you on a thrilling quest for truth. You will visit beautiful Mediterranean locations and explore stunning archeological excavations. You’ll hear from experts about new historical and scientific analysis and even hear intriguing stories about stolen bones. 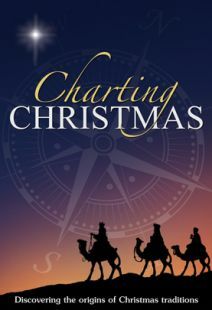 Through it all you’ll discover the true story of a third century Christian man named Nicholas, a man known for his generosity and concern for the poor. As a bishop, Nicholas stood for truth at a critical time in Church history and he profoundly affected the lives of all he touched. Saint Nicholas: The Real Story unveils a portrait of a man who turns out to be far more interesting that he fable that rose up around him. Hosted by Dr. Mark Wilson, the world's leading expert on the early church in Turkey and director of the Asia Minor Research Center. Featuring expert commentary from Adam C. English, author of, The Saint who would be Santa Claus and from Father Gerardo Cioffari, Director of the Centro Studi Nicolaiani in Bari, Italy. Santa Claus—the jolly, gift-bearing figure closely associated with Christmas—has his historical roots in the story of St. Nicholas, the Greek Bishop of Myra (Myra now being a part of modern Turkey). Nicholas lived during the third and fourth centuries, A.D., and his impact on the development of early Christianity has much to do with why he is celebrated in several Christian denominations and many nations (there are 500 or more St. Nicholas churches in the U.S. alone). Writer-director Stuart Lachlan Bennett's Saint Nicholas: The Real Story serves up a rich and detailed portrait of the man who bears little resemblance to the figure found at the North Pole. Born in the Mediterranean coastal city of Patara, Nicholas was orphaned at an early age, but little more is known about his young life (his true history is further complicated by past conflations with another Nicholas—Nicholas of Sion—a writer who lived two centuries later and had an interest in the bishop). What is known is a famous tale about St. Nicholas before he entered the clergy, when he became a secret benefactor to a poor family (the beginnings of gift-giving at Christmas are here). As the Bishop of Myra, Nicholas was arrested and tortured during one of the periodic persecutions of Christians launched by a Roman Emperor, horrific cycles that finally stopped when Emperor Constantine converted to Christianity. After that, Nicholas was able to become a fierce advocate for the protection of innocent people from provincial governors and soldiers. Nicholas's legacy also includes taking a major role in making the church's definitive case for the divinity of Jesus. Combining on-location filming with interviews of various experts, this fine biographical portrait is highly recommended. Saint Nicholas: The Real Story isn’t the kind of film you are going to happen across accidentally. It is independently produced to the fullest extent – the work of passionate filmmakers, Fuller alumna Martha Kimsey Bennett and her husband Stuart Lachlan Bennett, inspired by something new and wonderful they encountered, and eager to share that inspiration with others. Yes, it’s about the jolly man with the long white beard we look for on Christmas Eve, but more, it’s about a man most of us do not know at all, a brother in Christ who lived hundreds of years ago whose life is a model for the kinds of people we ought to be today. 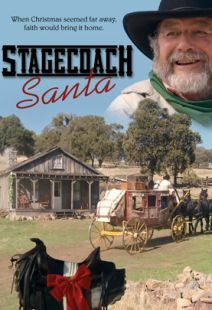 Actually, the film is about two men, both named Nicholas, who’s identities have become intertwined by time into the figure we know as Santa Claus. Ostensibly a documentary in the travelogue format, Saint Nicholas: The Real Story follows historian Dr. Mark Wilson around the Mediterranean as he visits the places the two Nicholases lived and talks with other historians and scholars who have devoted their lives to disentangling the two saints and celebrating both of them. This fleet documentary (~55 minutes) doesn’t seek to “reclaim” Santa Claus from a secular culture. 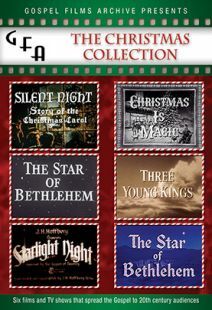 Notably, the scholars, Wilson, and his filmmaking team aren’t anti-Claus, partially because they know any publicity is good publicity, but more because they are glad the world embraces the man. They are just working to make him better known. In moments, a curious cinematic poetry emerges amongst the film’s historical lesson, as if all of this “real story” about St. Nick is a kind of window onto a deeper truth about the world at large – we have forgotten the truth about St. Nicholas, but that truth remains true, buried beneath hundreds of years of pop-cultural accumulation but resilient and eager to be seen if we’d only look. In my favorite moment in the film, Wilson stands on the shore of Lake Iznik near the site of Constantine’s former palace talking about Nicholas’ activities during the Council of Nicaea. Then the camera lifts off from the ground and soars over the azure waters revealing the submerged foundation of a cathedral. Santa Claus may be, for some, a symbol of worst of consumerism, but elevating ourselves above a combative relationship with the world, we discover the righteous foundations undergirding everything. The image of St. Nicholas may be used to sell soda pop, but he once gave his life to help craft the Nicene Creed. If that has been forgotten, it’s because we Christians have turned our backs on the world we when should have been serving it, like Nicholas, instead. Near the end of the film, the filmmakers visit Dr. Caroline Wilkinson, a world-renowned facial anthropologist, and watch as she digitally reconstructs Nicholas’ face in three dimensions for the first time in history. What she crafts is both familiar to those of us who grew up watching Rudolph the Red-Nosed Reindeer and yet new - a man of Greek-descent, olive-skinned and ruddy-cheeked, with a long white beard and a bulbous nose broken perhaps by the fist of a soldier who struck him because he was a Christian. This new face represents both the real man and our myths about him, a reminder that both can be true. I know the face is computer generated, but as I watched it hover there on screen, I could have sworn I saw a twinkle in its eye.